Entice – Red, White & Blue Sale! We have put some items on sale for Canada Day (Canada’s 15oth) and Independence Day. 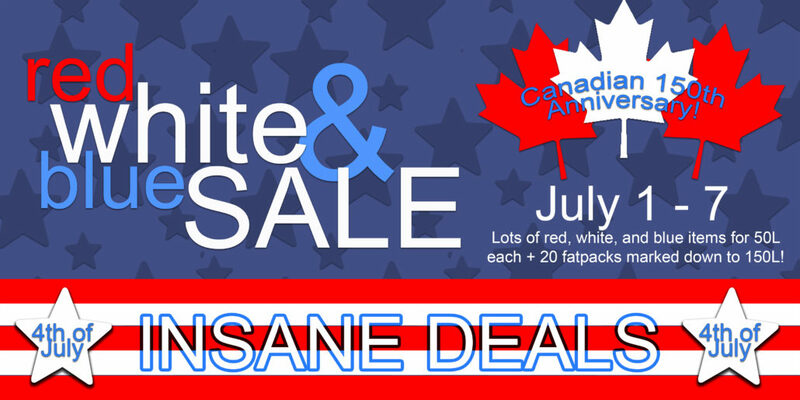 Insane deals to be had store-wide on select red, white and blue items as well as select fatpacks! Grab the list of items in our store and enjoy some retail therapy! http://entice.fashion/wp-content/uploads/2017/05/NEW-ENTICE-LOGO-II-200.png 200 200 Jolene http://entice.fashion/wp-content/uploads/2016/11/NEW-ENTICE-LOGO-Header-3.png Jolene2017-07-01 05:22:462017-07-01 05:26:15Entice - Red, White & Blue Sale! Entice - 4th of July Group Gift!